Broide & Co. is a member of PrimeGlobal, which is the third largest association of independent accounting firms in the world, comprised of over 350 highly successful independent public accounting firms in 90 countries. Formed from a merger in 2011, PrimeGlobal provides its independent member firms with tools and resources to help them furnish superior accounting, auditing, tax and management services to clients around the globe. Through PrimeGlobal, independent member firms offer the strength and capabilities of a large, worldwide organization with technical depth and geographic reach impossible for a local firm alone. 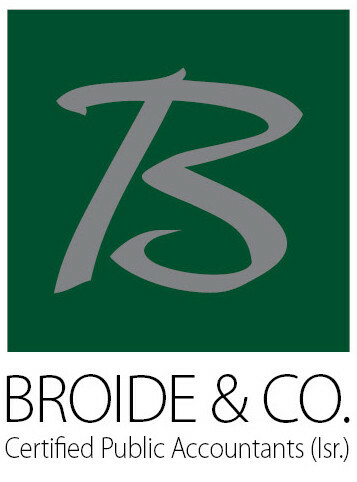 Broide & Co., CPA (Isr.) is an independent member firm of PrimeGlobal, a worldwide association of independent accounting firms and business advisors. PrimeGlobal does not and cannot offer any professional services to clients. Each independent member of PrimeGlobal is a separate firm and an independent legal entity. PrimeGlobal is not a partnership and independent member firms are not acting as agents of PrimeGlobal or other independent member firms.